Metabolic surgery refers to surgical procedures that are normally used for weight management to manage blood sugar levels and treat metabolic diseases. Managing blood sugar levels is critical to controlling the symptoms associated with Type 2 diabetes. In May of 2016, new guidelines were presented recommending the use of metabolic surgeries as a treatment for Type 2 diabetes in patients who are obese. The International Diabetes Association, the American Diabetes Association, and over 40 other medical groups around the world have approved these guidelines. 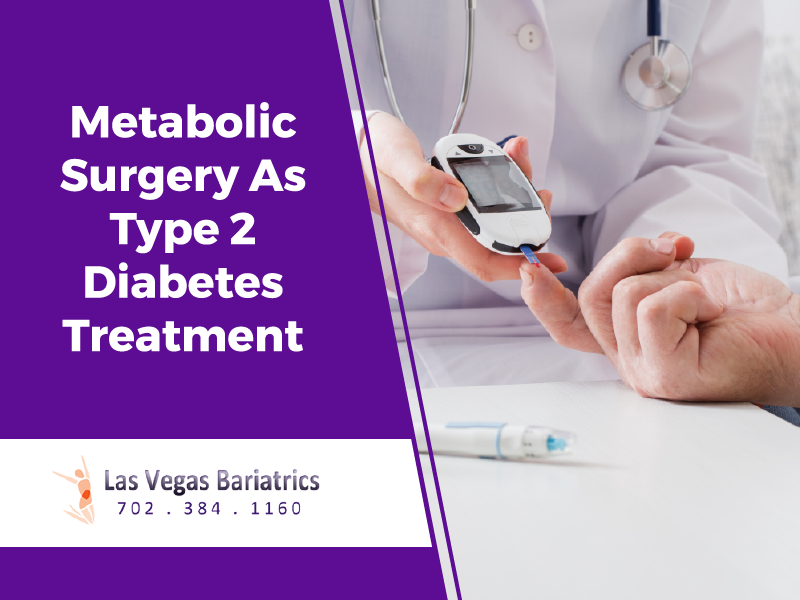 Although the exact explanation behind the effectiveness of metabolic surgery has not yet been determined, metabolic surgery has proven to be a successful treatment option for obese or mildly obese patients with Type 2 Diabetes. A study performed by the Journal of the American Medical Association in 2004 found that out of 22,000 patients who underwent bariatric surgery, 86% reported that their diabetes had completely resolved or improved. There are a number of bariatric procedures that can be classified as a metabolic surgery, each with different benefits and side effects. A consultation with an experienced doctor and surgeon is the best way to properly decide the surgery that will most benefit your physical needs. Dr. Bernie Hanna has extensive experience performing successful bariatric surgeries for patients with Type 2 Diabetes and is able to provide knowledgeable direction in deciding the most effective surgery for each individual patient. Another option is Sleeve Gastrectomy, in which the larger part of the stomach is removed with the rest stapled into a narrow sleeve-like shape. Success rates for sleeve gastrectomy are comparable to those of RNY gastric bypass. Gastric Band surgery in which a band is wrapped around the upper part of the stomach in order to shrink it is another effective option that has recently been added under the category of metabolic surgery. However the Gastric Band is falling out of favor for several reasons and many surgeons are not performing this procedure anymore. Ideal candidates for metabolic surgery will have Type 2 diabetes with an HbA1c of 7.0 or higher. Other candidates for metabolic surgery are diabetic patients with a body-mass index (BMI) of 30.0 or above. Surgeons were pleased to learn that the surgeries they were performing for weight loss were lowering blood sugar levels in their patients long before weight loss began. Today, the evidence is still being gathered regarding the long-term effects of metabolic surgery on blood sugar levels. STAMPEDE, one of the largest scale studies involving roughly 150 people, has shown half of their surgery group participants to have HbA1c levels below 7.0% at the five-year mark. One in five participants had an HbA1c of 6.0% or less after five years, which is considered as being remission. Dr. Hanna has the experience and knowledge to comprehensively explain each procedure and its corresponding benefits, risks and side effects. Contact us at Las Vegas Bariatrics today for any questions or to schedule a consultation.